If you don’t travel with noise cancelling headphones, you’re not doing it right. But the Sennheiser PXC 550 Travel headphones may not be the ultimate choice. What we instantly loved about the Sennheiser PXC 550 Travel headphones was their lightweight design and awesome sound quality. 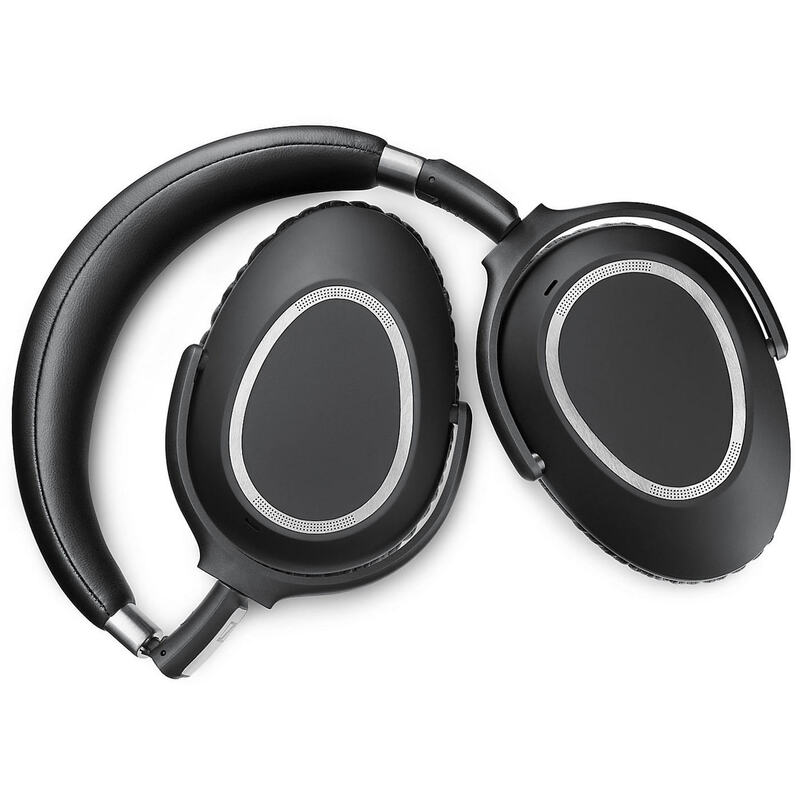 Completely wireless so connecting to a phone or laptop via Bluetooth (which is not ideal on a place, but a 2.5mm connector is available), these high-end travel headphones do an excellent all-round job in a travel-friendly design. The ear-cups are so, so comfortable, even when worn for long durations, and easily snug enough to fall asleep in, That’s key, because that’s exactly why TravGear always makes sure there’s a pair of noise cancelling headphones around to test when a long-haul flight is coming up. We dozed-off wearing the Sennheiser PXC 550 Travel while on a 14-hour red-eye flight to Shanghai, no problems. The battery lasts 30 hours, which was enough to get us the China and back. That said, the actual noise cancelling technology is still a work in progress. It’s really good at removing engine noise – so-called white noise – but less effective against voices. So if there are a couple of chatters near you on the plane, it’s tough to drown them out unless you resort to playing music quite loud. The touch controls on the earcup didn’t work too well in our test. Learning how to use gestures out of the line of sight is always tricky, but the swiping to change track and volume is a little too indistinct to get right. However, we loved the feature that sees the music cease if you rotate the earcups to place them around your neck. Oh, and the fact that they are the best-sounding noise-cancelling headphones around … if only the noise–cancelling itself was class-leading.